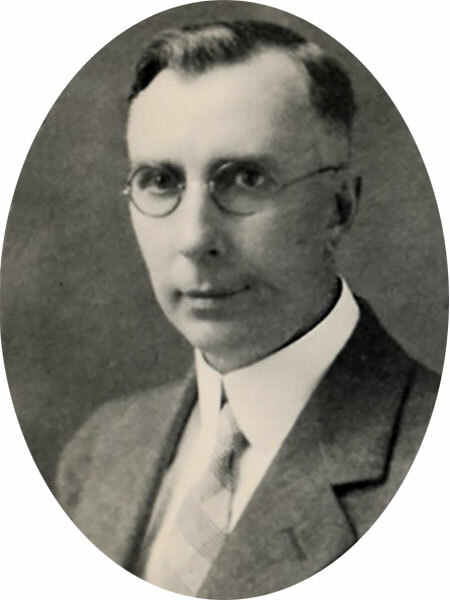 Born in Ontario on 4 January 1882, he taught school in Ontario before coming to Manitoba where he was Principal at Hamiota School (1913-1916) and Virden School (1916-1918). He served as Superintendent of the Brandon School Board from 1924 to 1950 and President of the Manitoba Educational Association (1949-1950). On 4 August 1915, he married Mabel M. McCreary. He died at Ottawa, Ontario on 30 June 1970 and was buried in the Brandon Cemetery. He is commemorated by Neelin High School in Brandon. Obituary, Winnipeg Free Press, 4 July 1970, page 38. We thank Curt Belton for providing additional information used here.